Happy New Year from TWLB! 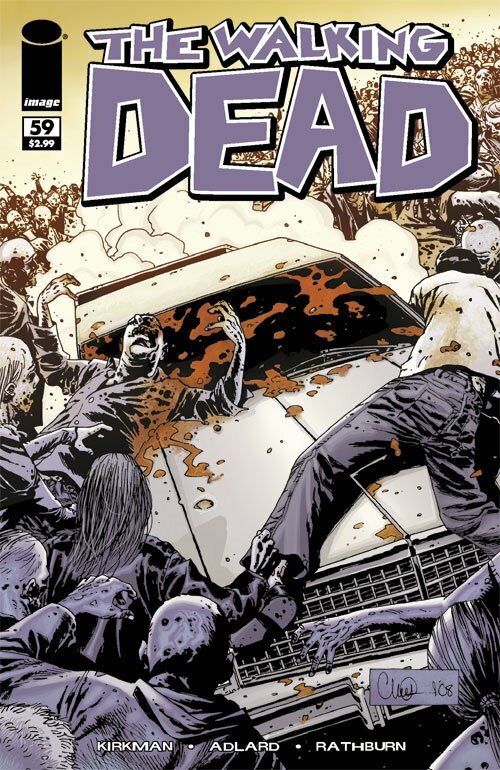 This year The Walking Dead proved to be surprising and maintain a level of interest and excitement post-Woodbury / Prison siege (aka the ‘No-one is Safe’ arc) that is a tribute to the strength of the creative team of Kirkman, Adlard, Rathburn & Wooton. 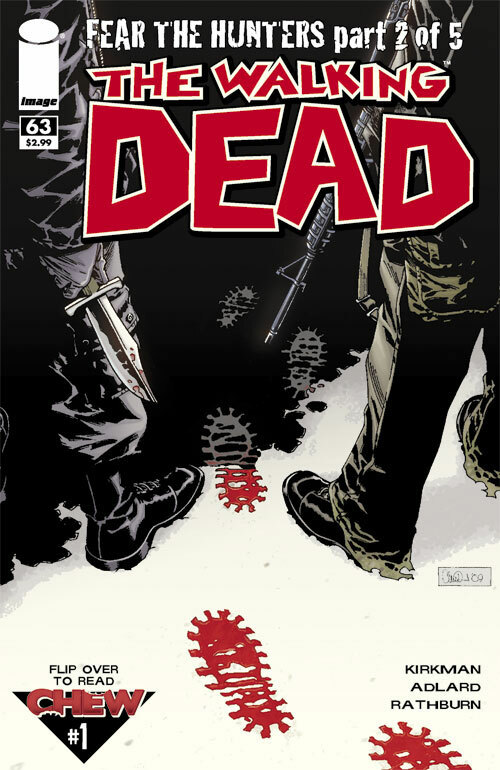 There were some pleasant surprises – they kept to Kirkmans promise of ‘On time in ’09 (great), as a result there was a distinct lack of whines about The Walking Deads release schedule (also great). 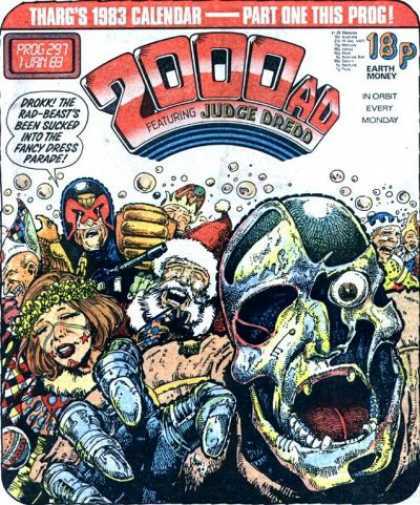 The big ‘event’ of the year, ‘Fear The Hunters’, but expecting a mass cull of characters was wide of the mark. What it did achieve was a major shift in the attitude of the main players. 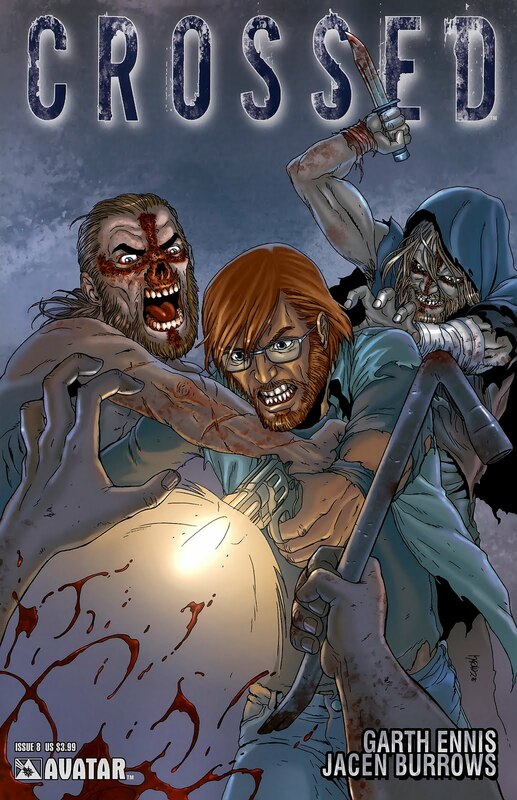 Rick, Abraham, Andrea, Michonne have deteriorating moral compasses – some may be deteriorating quicker than others. Rick, for example, is as savage and unforgiving as any surviving human left in the world. 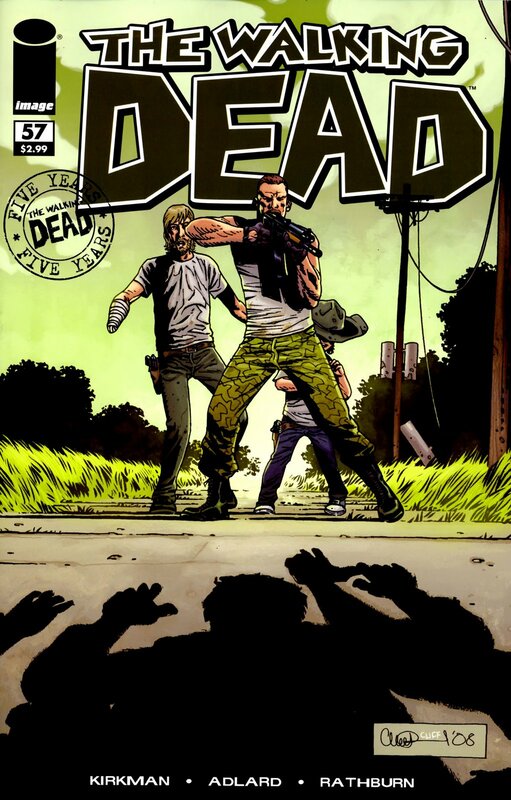 Although the ‘Fear’ arc cold not match the raw intensity and profound sadness that marked out the ‘No-one is Safe’ arc as the finest of Kirkmans work so far, it did provide enough tension and drama to sustain its 5 issue run. Few new characters have arrived, but new arrivals have slotted in and they (and others) have faded into the background, (Father Gabriel, Rosita, Maggie, Sophia). Others have briefly emerged into the spotlight and then are quickly moved back to the fringes again (Eugene remained underused, then after his ‘secret’ was revealed, the repercussions were relatively unexplored). 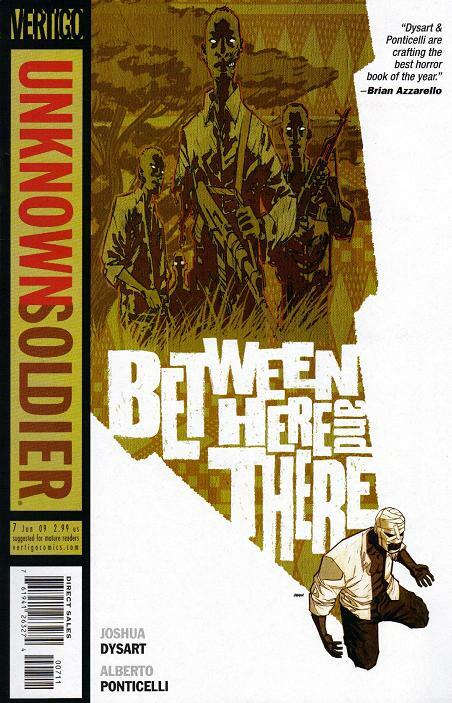 One other character has developed alarmingly – Carl is a mirror of his Father in the way he has adapted to his hostile, unforgiving environment, a youth in age but with the knowledge and experiences of an embittered veteran. His progress in 2010 should be fascinating, as long as the Father / Son duologues between Carl and Rick are used with economy – I felt there tended to be an over reliance on these in 2009, and while they were mostly very good, they started to become a little trite. 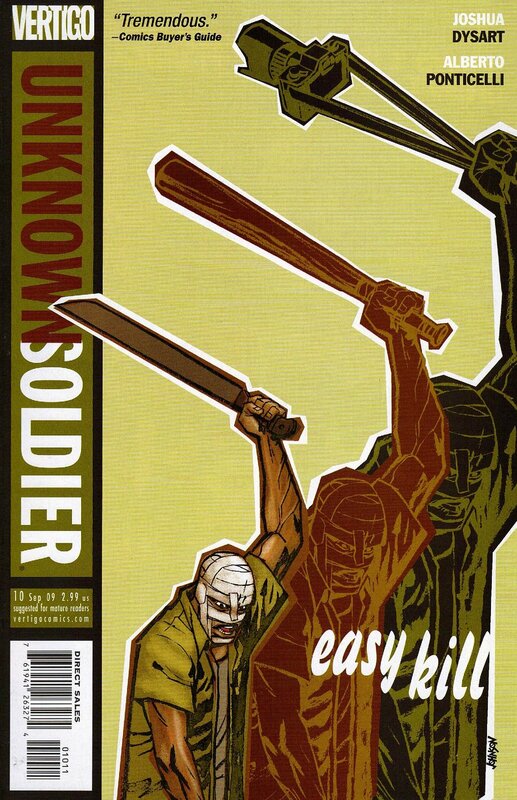 While Kirkman has provided some memorable plot and dialogue, Charlie Adlard has proved his equal, providing consistently great art, with some images staying imprinted on my memory. The one I can’t get out of my head is of ‘The Hunters’ in conference sat around a picnic table on a typical suburban patio area in a back garden. Being able to infuse the mundane with such unease is a great gift. 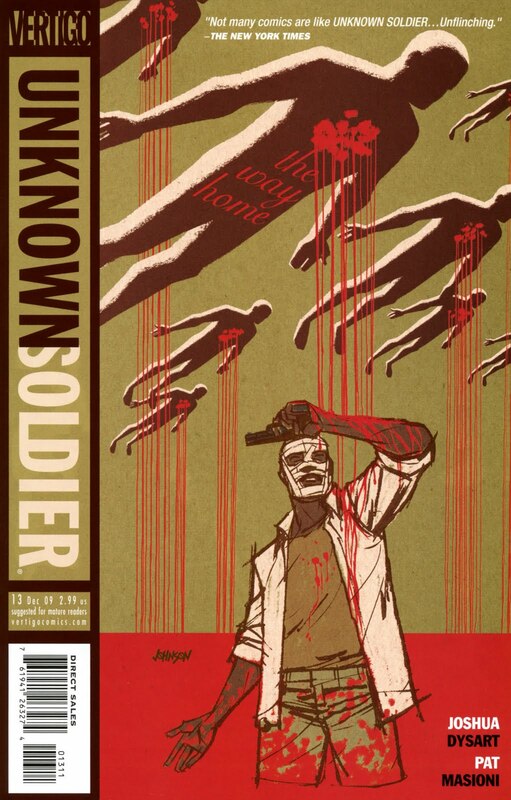 Charlie Adlard has that gift. 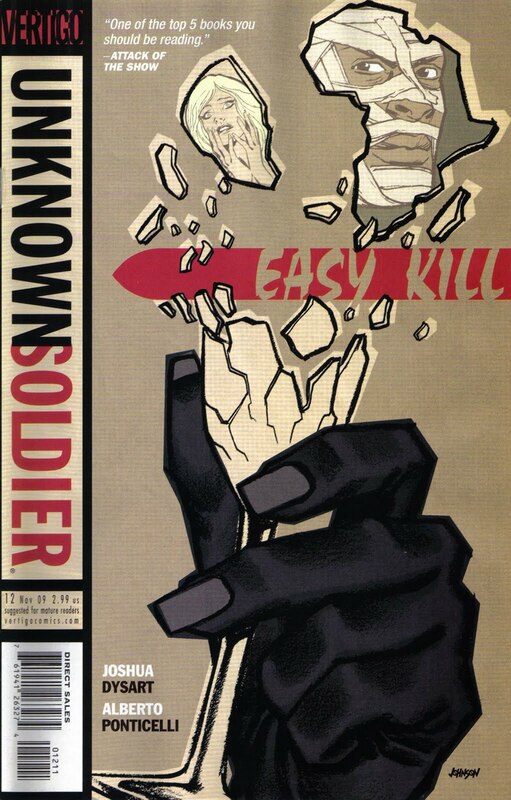 And he does a great cover. 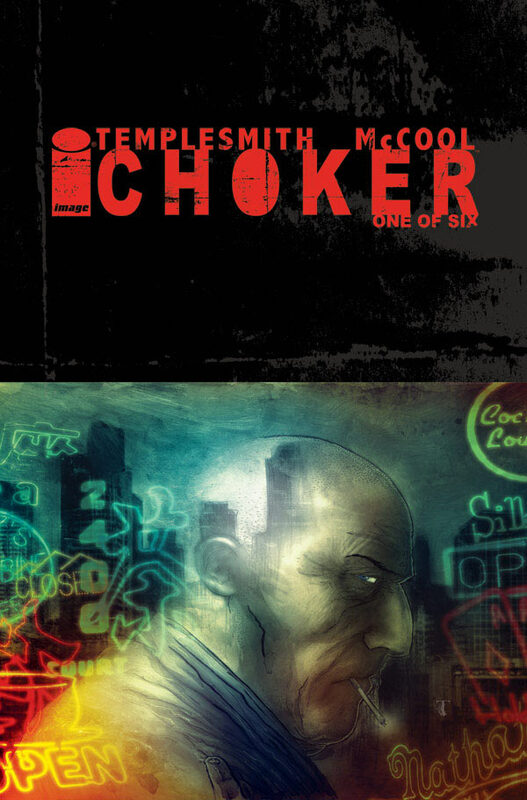 Then in August 2009, a title from Vertigo really made me take notice. 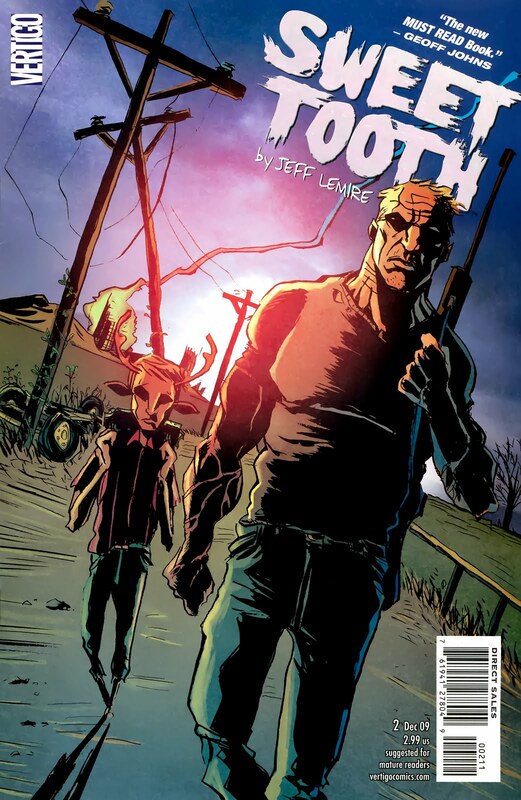 ‘Sweet Tooth’ is a post apocalyptic fairytale. It is charming, beautiful, tender, heartbreaking, bloody and it envelops you. I wrote in my first review that it reminded me of both Pinocchio & The Road, and that was meant in a very flattering way. 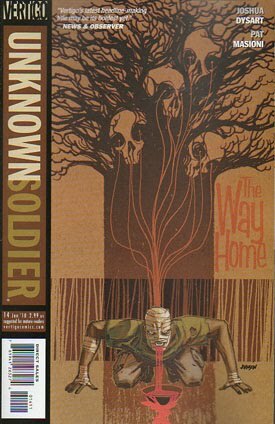 The best thing about the first issue was that when I picked it up in Amsterdam for 1 euro I was reading one of the best single issues I would read in 2009. For 1 euro. Cheers Vertigo / DC. 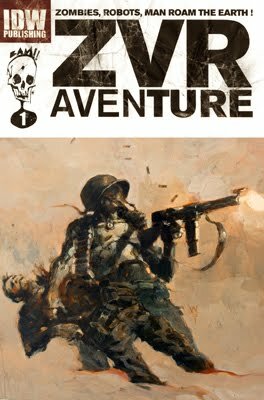 The story is set in a post apocalyptic America after a devastating (but as yet unexplained) Pandemic. 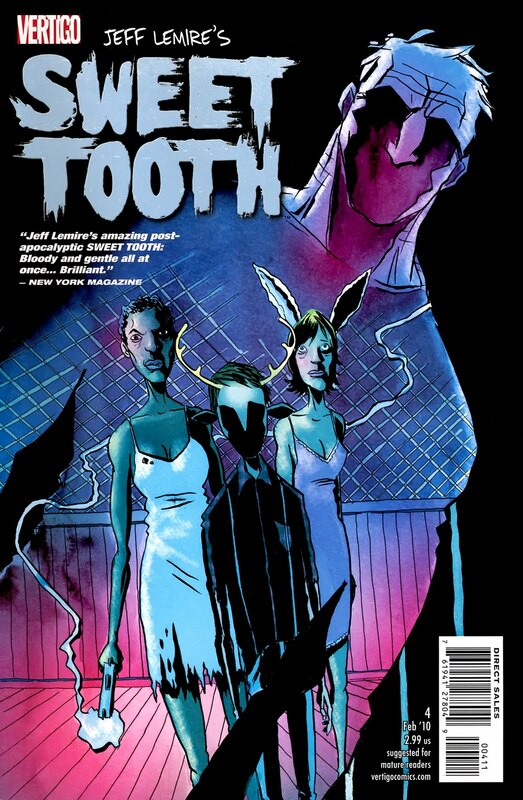 Gus – the ‘Sweet Tooth’ of the title – is an 11 year old Human / Animal hybrid, raised in total isolation by his (now deceased) Father. Importantly, he is immune to the pandemic. Curious to see what lies beyond his Fathers imposed isolation in the woods, he moves out beyond his previous confines, is hunted down, but saved by a hulking, mysterious man known as ‘Jepperd’. 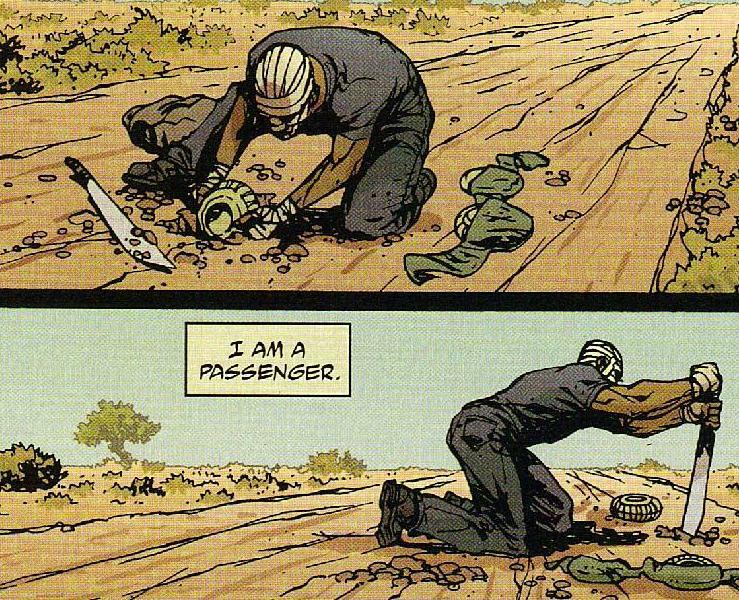 His role of Guardian to Gus is fundamental to the success of the story, and his ambiguity (especially in his role as ‘Guardian’) is providing gripping entertainment. 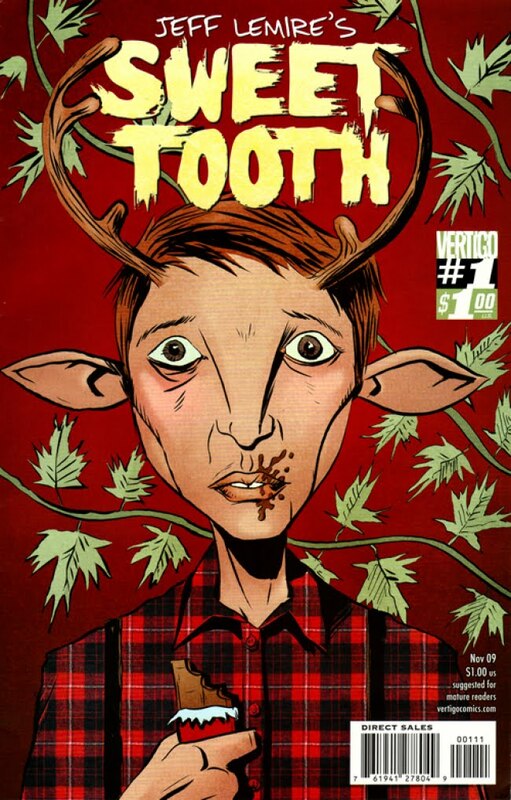 Jeff Lemire is both writer and artist on this title, and it is his portrayal of innocence and innocents in a world of encroaching darkness, with depravity and despair seeping inwards from the corners, that stuns and delights. In his scratchy, slightly wonky art, he effortlessly convinces of Gus’ innate goodness and fragility. In Jepperd, he summons a creature who may be more than man – like something hewn form granite – and more than the protector. Maybe someone with more darkness and a direct danger to Gus? 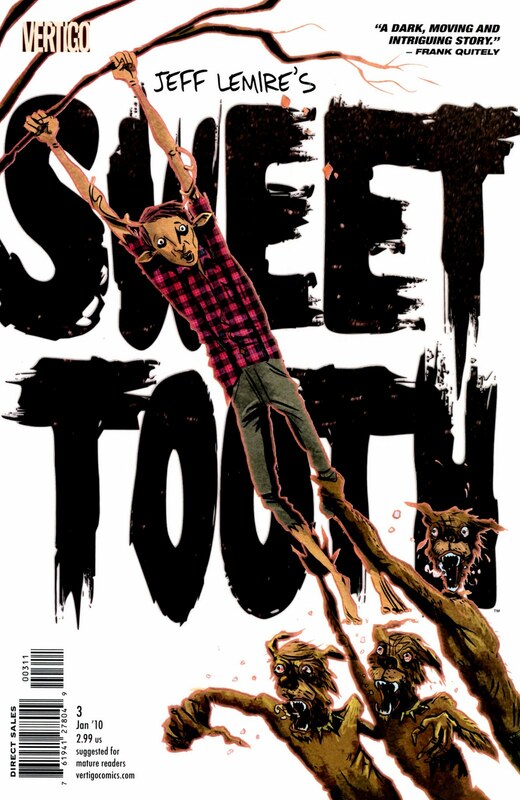 4 issues in, and Sweet Tooth has not dropped a beat. Its quality is undeniable, it has easily become required and anticipated reading, and I think it is the finest title to debut this year by a country mile. I love it. Please buy it so it can continue for many years. The dead are killing, and troubled homicide cop Isaac Hernandez is on a desperate search for answers. His investigation leads him deep into the corridors of the Shuddertown housing projects, and towards a truth too terrible to face. A STORY OF GUILT, REDEMPTION, AND RESURRECTION; PERFECT FOR FANS OF THE WIRE, MULHOLLAND DRIVE AND SE7EN. So, we reach the penultimate episode of Crossed. 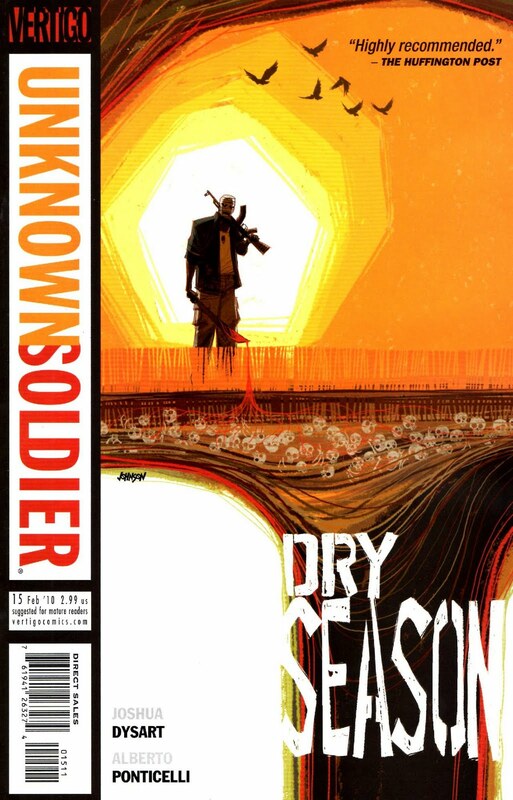 After the shocking, terrible events of #7, this issue is more reflective, gives more detail on the wider consequences of the infection, and brillaintly shows how tensions are resolved amongst the survivors in this tragic, devastated world of the Crossed. There are attempts to try and attempt closure, to allow some to grieve. There are moral choices that make sense in this altered world, where the summary execution of a human because of their treatment of an animal is logical, believable, even justifiable. 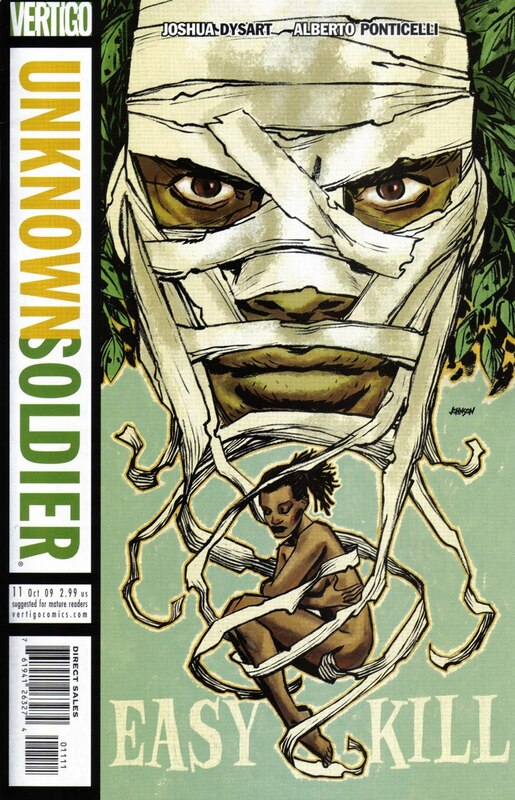 Short on the shocking imagery that has made this title somewhat notorious, this issue actually goes a lot deeper in exploring how people survive in this post-Crossed world. 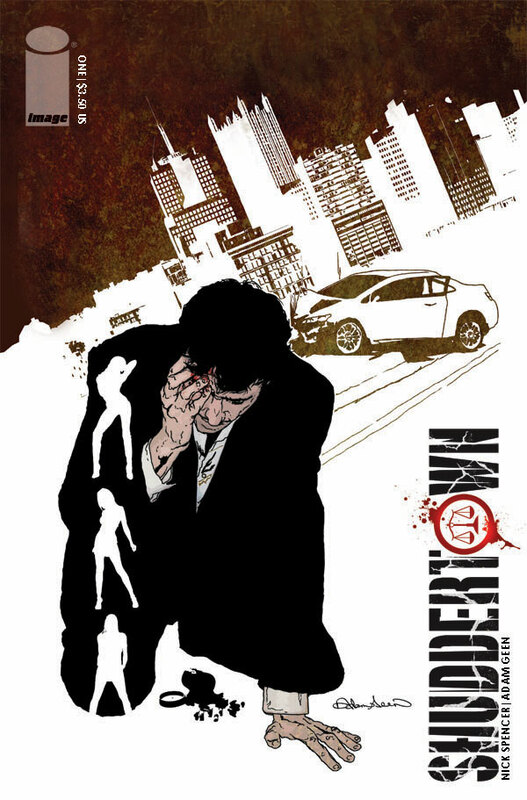 It is probably the finest issue to date – immensely readable, sensitive in its portrayal of the choices people make, and how people deal with loss – and it seems to be hitting its stride just as the curtain is about to fall. 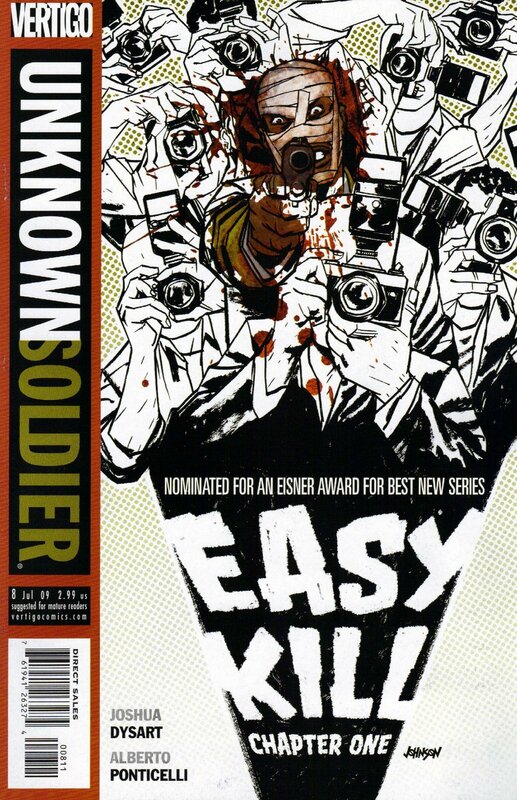 Maybe Ennis will consider a volume 2 of this title. 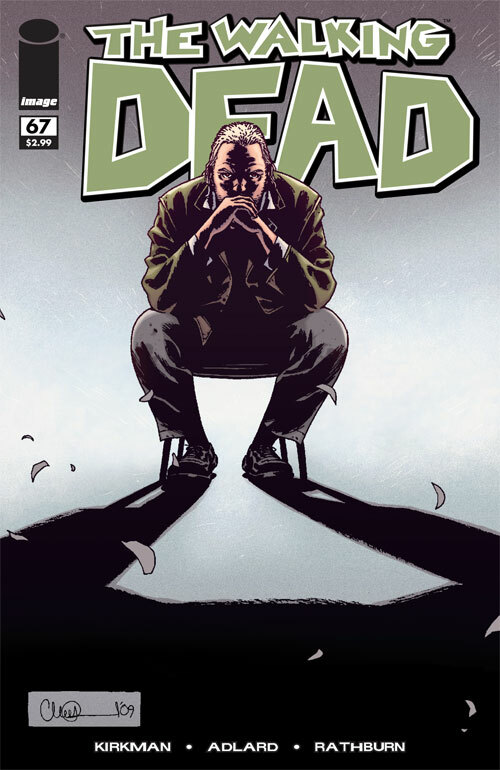 Maybe Ennis will end the upcoming finale on an unremittingly bleak note (there is certainly a lack of hope throughout the series’ run). I am just glad that Crossed has become more than a one-trick pony, because despite some imagery that is so shocking it is not easy to forget (or even to justify), this title has matured into a terrifying, gripping tale of survival in a world where joy and hope are all but extinguished.